ATL rapper Loso Loaded turns heads with his versatile approach to the mic and his facility with earwormy hooks. Coming through with a charming slice-of-life video, Loso Loaded shares “Stayed Down,” his latest music video. A whirring and defiant party-starter of a single, “Stayed Down” finds Loso and featured artist Big 36 recalling their bumpy roads to success, and sneering at those without the ambition or initiative to emerge out the mud. In the video, Loso and Big 36 brood in close-up, posting up outside a convenience store as Losospends some quality time with his daughter. Premiered by XXL, “Stayed Down” provides a revealing glimpse of a day in Loso’s life in the trap. “Stayed Down” is the first video released from Bases Loaded Fully, his new mixtape released earlier this week. Riding high off a recent shoutout from Lil Yachty on the track “We Outta Here,” where the red-braided rapper says “I’m Loaded like Loso, I’m boomin like Metro,” Loso shares Bases Loaded Fully, his latest mixtape. Bursting with immersive, headphone-ready instrumentals from the likes of Dun Deal, Samba Beatz, Mister Neek, and more, every track on Bases Fully Loaded expands the sonic palette of trap music in its own unique way, from the swirling arpeggios of “Dead Wrong,” to the burbling, echoing keyboard droplets of “Chasin,” to the major-key woodwinds and candied synths of “Whatever She Said.” Living up to the challenge posed by the unconventional instrumentals, Loso showcases his versatility and adaptability, veering from clipped cadences and dense rhymes to lilting melodies and energetic ad-libs, often switching his vocal style multiple times in a single song. 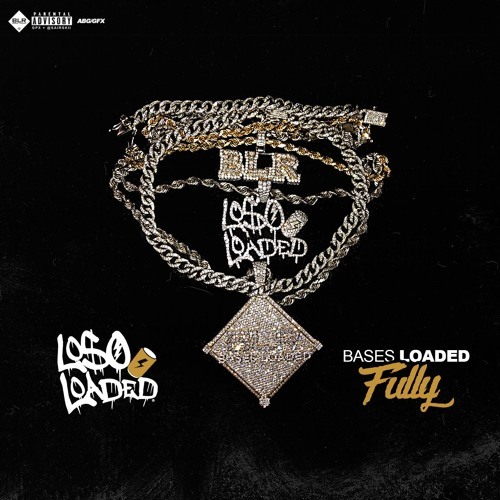 Featuring appearances from Don Q, Devon Tracy, RoscoP, VVsnce, RealRecognizeRio and more, Bases Loaded Fully arrives via Bases Loaded Records.